Apple’s all new iPad Pro 2018 is nothing short of an amazing device. It’s more powerful than many laptops currently on the market, and is designed to be the ultimate go-to device for all things that creators would need. There’s a lot you can do with the new iPad — you can edit 4K video, play high-end games, use the tablet for graphic design, draw, and you can even use it to do things as simple as jotting down notes, reading a book, or perusing your favorite apps. The iPad Pro 2018 is a powerful device, and it can handle all of those things and more without any problems. However, a “con” does come with that power, and that’s that it uses a whole lot more power than tablets from previous generations. So if you use your iPad Pro 2018 as your main machine during the day and run out of power mid-day what do you do? If you’re close to a wallet outlet, you can simply plug it in, but if there’s not one to be found, you’re in trouble. Luckily, keeping a portable power bank charger with you can keep you out of some hot water. If you follow along below, we’ll show you the best portable power bank chargers for your iPad Pro 2018. Here are our top picks. Coming in as our fifth contender, we have the Ainope Portable Charger. 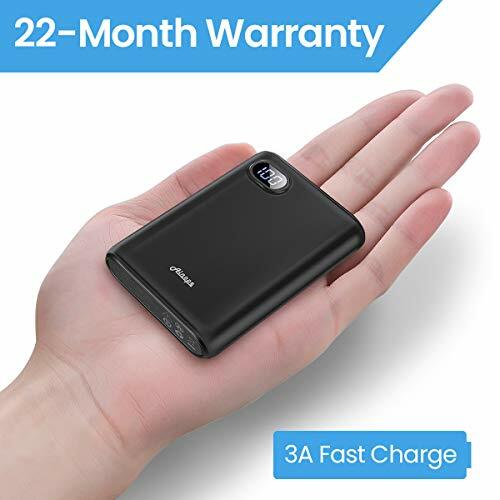 If you’re looking for something that can simply get the job done, the Ainope Portable Charger will be right up your alley — it’s a no frills portable charger that can just get the job done. This one has a capacity of 10,000mAh, so you should be able to get a little bit more juice out of your iPad Pro 2018 without really needing to be near a charger. The Ainope Portable Charger actually has an LCD display on it, showing you how much juice is left inside in a percentile format. 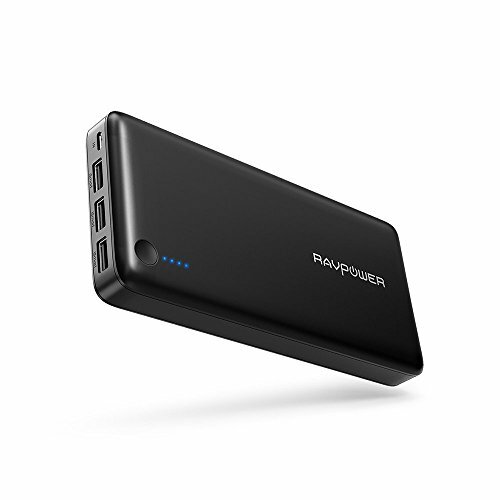 The RAVPower Portable Power Bank Charger comes in as fourth on our list, and is better than the Ainope in almost every way. You actually get a whole lot more battery capacity in this one, giving you a whole 16,750mAh to play with. That should be enough to keep your iPad Pro 2018 charged in a pinch. You can actually charge two of your favorite devices with this one, as it has dual USB outputs on it. RAVPower, a leader in the phone accessory market, has actually built some charging safeguards into the circuitry of the power bank. This ensures that you won’t harm your iPad Pro 2018 through electrical spikes, over heating, and even over charging. 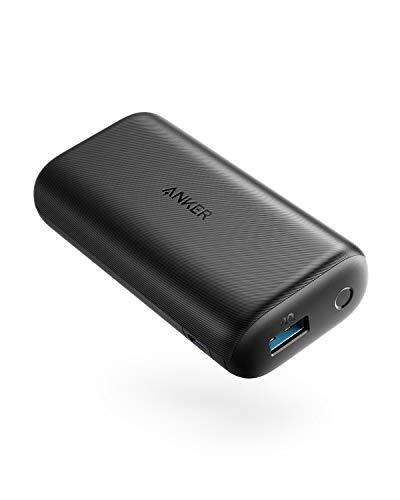 If you need something extremely portable, you might want to consider what the Anker PowerCore+ Mini has to offer. This power bank is ideal for those that need something in a pinch to keep their iPad Pro 2018 for just a few more minutes. 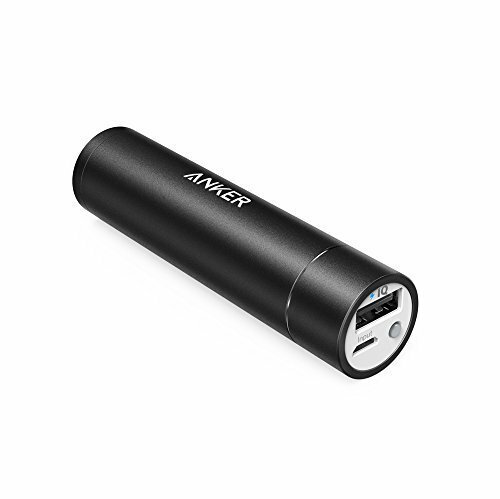 This is because Anker focuses on portability here — the PowerCore+ Mini is literally the size of a lipstick bottle — unfortunately, that means that there’s a pretty small capacity here: only 3,350mAh. That’s not a lot of juice, but it is enough to keep your iPad Pro 2018 alive long enough to send out that last email or finish your company’s training video. Coming up as second on our list, we have the PowerAdd Pilot 4GS. 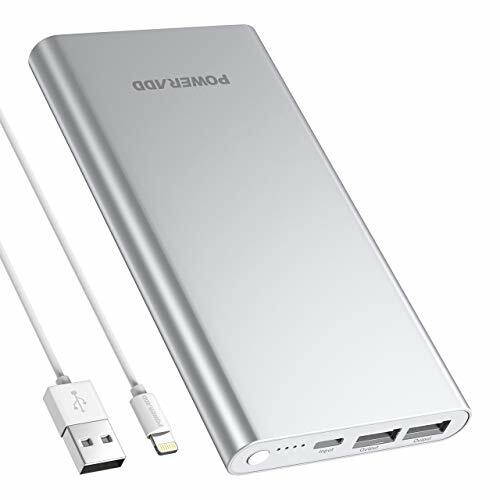 This is one of our favorite portable power bank chargers because PowerAdd seems to nail the perfect formula between thickness and battery capacity. There’s actually a whole 12,000mAh capacity in this power bank, giving you plenty of juice to keep your iPad Pro 2018 charged while you finish the last few hours of work. 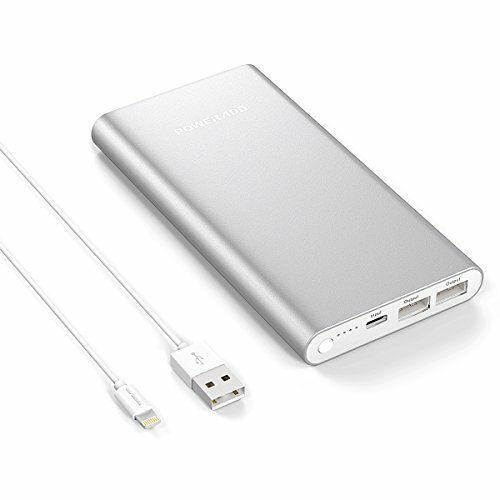 What we really like about this portable power bank charger is that it has dual-USB outputs. That means that you can not only keep your iPad Pro 2018 charged while on the go, but maybe a smartphone or another tablet as well. Charging is pretty quick when a single device is hooked up, but it does degrade or slow down when you connect a second one. 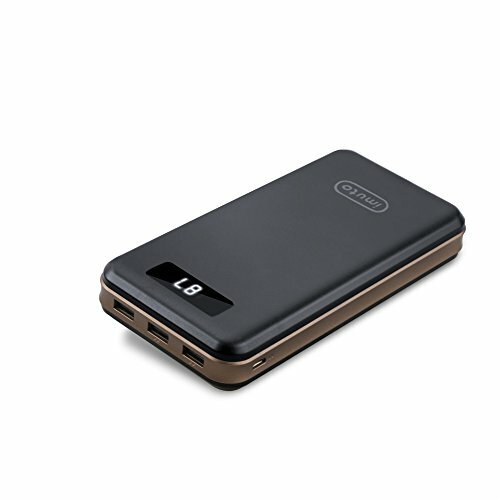 Our first and favorite top pick is the iMuto Portable Charger X6. This one is easily one of the best portable power bank chargers that you can pick up for the iPad Pro 2018. It’s a little on the thicker side, but it actually has a whopping 30,000mAh capacity inside of it. That said, you should be able to get around two full chargers for the iPad Pro 2018 out of this power bank, keeping you juiced up when there’s no power outlet near by. iMuto actually makes it really easy to monitor how much juice you have left inside of the power bank — there’s an LCD panel built right onto the portable power bank charger which shows you how much juice is left inside of it. It gives you a better idea of how long you can keep your iPad Pro 2018 alive for. iMuto has a bunch of electrical protections built inside of the circuitry as well. As you can see, there are a lot of excellent portable power banks available for the iPad Pro 2018. If you’re looking for one that’ll keep you alive for a couple of charges worth, the iMuto Portable Power Bank is really the way to go here.